Search Results for "red pill"
Close up female hand put blister hand above. Closeup girl putting arm red pills POV. Place medicine chest 4k. A first aid. Demonstration unique tablets. Best pill top view. Woman selects one drugs. It takes an a lot of red pills at a time. Hands pulled out of the blister bunch of drugs. Lots of pills in her arm Top view 4k. Against the background of many colored blisters. Heart-shaped red pill spin on a green background. A doctor in a medical mask, shows a red pill to be taken to the patient. Bottle with yellow-red pills falling on black surface, close-up. Slow motion. Red pills and brown glass bottle fall on black reflective surface. Global pharmaceutical industry for billions dollars per year. Pharmaceutical drugs for use as medications. slow motion. Word overdose covered by falling down white and red pills. 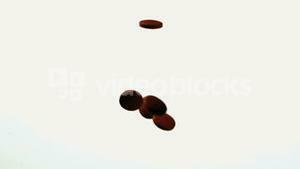 Animation of a lot of falling tablets. Closeup of a senior woman with red pill. Healthcare old people concept. Fall one red pill high speed. Close up top view. Fell 1 tablet rapid. 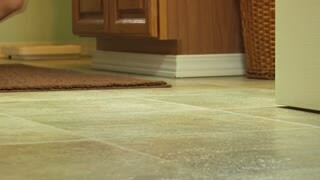 Falling isolated object slow motion closeup. Dropped drug slowmotion macro above. solution to problem. Medicine chest. Aid kit. 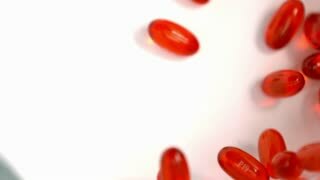 Red pills (loop ready video). A hand opens revealing a red pill in extreme close up. The hand belongs to a Caucasian male. It could be drugs, pain killers or some other kind of medication. No pills allowed. 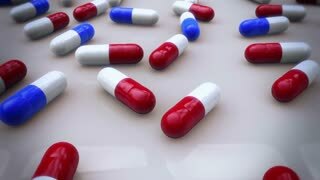 A big red stop sign appears on a scene: pills pouring on a table; white on black, high contrast close-up shot. 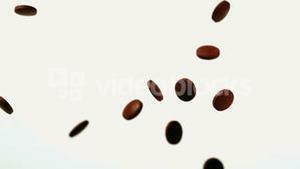 Animated red gel pills or capsules exploding and flying toward camera in slow motion and against transparent background. Alpha channel embedded with PNG file. 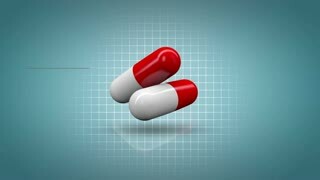 Animated red gel pills or capsules flying or dancing in slow motion and against transparent background. Alpha channel embedded with PNG file.